Learn Sean Perez’s signature horizontal open string whip sequence, Fruit Ninja. 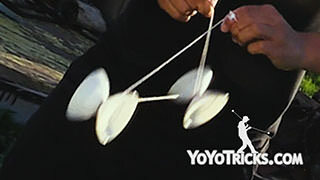 As you can see, this trick consists of two open string binds. They are split up with a quick catch in between, so feel free to practice the whips individually while you are still learning. Before you start, you want to shorten the string one or two inches. 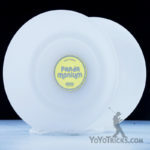 This will keep the yoyo from flying too far away from your body. To start this trick, I am going to perform a horizontal side throw. As the yoyo reaches the end of the string, you are going to pull back slightly. This will keep the yoyo from flying too far out. 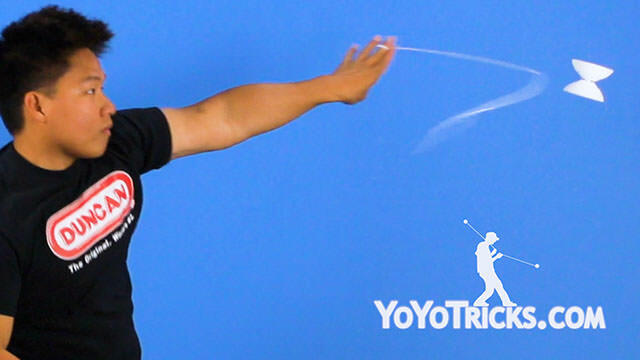 Once the yoyo is off the string, you are going to pull your hand back toward your body. 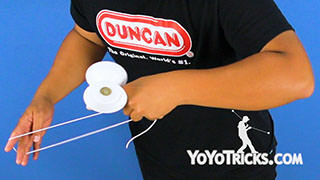 Then whip the string outwards into the gap of the yoyo. 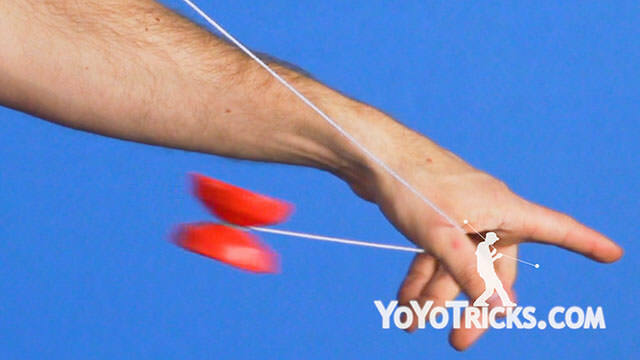 As the yoyo binds and is coming back to your hand, turn your body to your non throwhand side. This will make it easier to perform the next part of this trick. So now you are going to perform a horizontal front throw. But before the yoyo reaches the end of the string, you have got to pull back slightly. 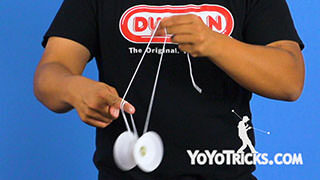 Once the yoyo comes off the string, you are going to whip the string over your head and into the gap of the yoyo. Bind and catch. Now, this trick is very difficult. It takes a lot of time and practice to master. We have some tips for you. 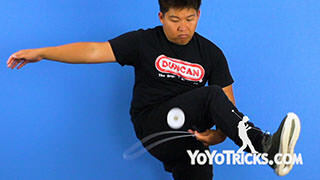 To make the throw easier, try to hold the yoyo on a slight angle instead of flat. 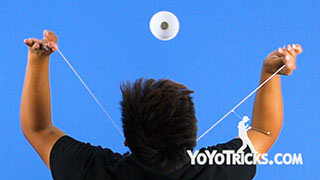 If the yoyo is going too far away from your body, we recommend to pull the string a little bit harder. But if the yoyo is too close to your body, then do not pull it back as hard. When it comes to the second whip, you will want to remember that just like with the regular open string bind, you want to line up your hand with the yoyo so you can control the string better. And that is how you do the Fruit Ninja. If you find this trick too easy, double up for the iPad version.